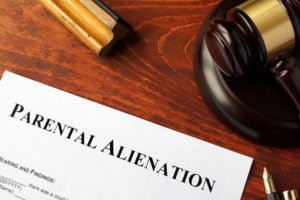 As you can see from the article below, there is a name for it, ‘Parental Alienation Syndrome’. You may no longer love or like (you may even hate) your prior spouse, but your children do. Your children are 50% of each of you and if you insult the other parent, you are insulting/hurting your child. Your children want to love both of you, and you always want to do what’s in their best interests. They will appreciate you for it in the long run.